Polyester hook and eye tape by Prym. 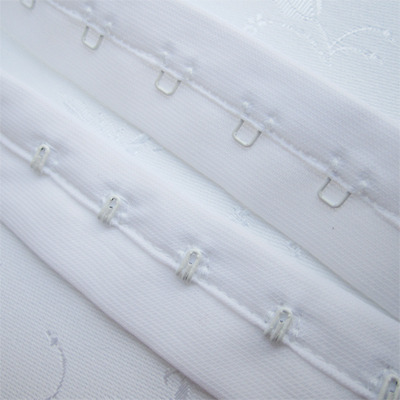 The hooks and eyes are spaced at 19mm apart making this tape especially suitable for making bras, girdles and basques. Washable, colour fast and dry cleanable. Priced per HALF metre and available in black and white.